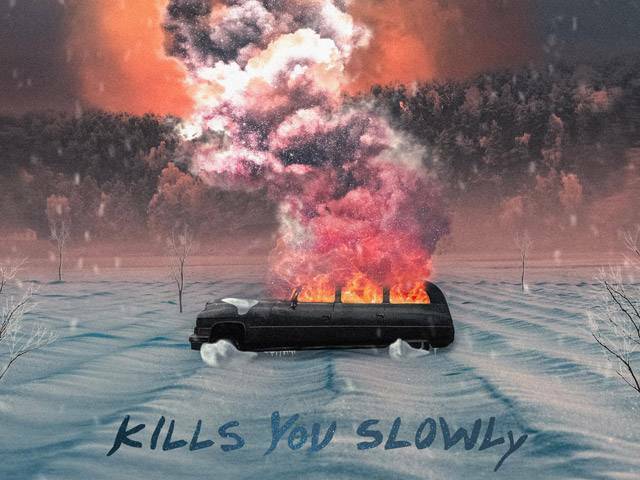 Grammy Award-winning artist/producer duo The Chainsmokers have released their new track 'Kills You Slowly' via Disruptor Records, Columbia Records and Sony Music Entertainment Australia. Listen here. The song features vocals by Drew and follows their previously released single 'Who Do You Love' ft. 5 Seconds of Summer as the next piece of their new building album, World War Joy. The album will continue to build one song release at a time over the course of 2019. The Chainsmokers also recently released the official music video for 'Who Do You Love' – watch it here. 'Who Do You Love' is climbing the charts and has accumulated over 125 million combined views and streams to date. Watch The Chainsmokers perform the track with 5 Seconds of Summer on The Tonight Show Starring Jimmy Fallon here. In Australia alone, the duo have achieved Gold, Platinum and Multi-Platinum status across a number of releases, including 2016's bona-fide smash hit 'Closer' featuring Halsey, which is certified 15 x PLATINUM and was named the longest running #1 ARIA Single for that year. Notably, 'Setting Fires' featuring XYLØ has achieved PLATINUM certification, 'All We Know' ft. Phoebe Ryan is certified 3 x PLATNIUM, 'Paris' is certified 4 x PLATINUM, 'Roses' featuring Rozes has achieved 5 x PLATINUM, 'Something Just Like This' with Coldplay has achieved a massive 8 x PLATNIUM status, and 'Don't Let Me Down' featuring Daya is certified 9 x PLATINUM. Advancing such industry recognition – The Chainsmokers have achieved GOLD certification for their debut album 'Memories…Do Not Open', plus singles 'Inside Out' featuring Charlee, 'The One', 'Sick Boy' and 'Somebody' – further signifying the duo's innate talent for music. The Chainsmokers returned to Australia in February as part of Australia's very first edition of the globally renowned Ultra Music Festival. The Chainsmokers entertained audiences with electrifying sets in Sydney and Melbourne. Alex and Drew continue to work on new music, and fans can catch them performing live at their Las Vegas Residency and at tour dates and festivals all over the world. Fans can catch The Chainsmokers live on their massive "World War Joy" North American headline arena tour this US Fall. 5 Seconds of Summer will join all dates along with rising pop star Lennon Stella, who is opening the show. The 41-city tour, produced by Live Nation, will kick off on September 25 in Cincinnati, OH and make stops in major cities across the U.S. and Canada before wrapping in Vancouver, BC on December 6. For all touring and ticketing information, visit LiveNation.com.